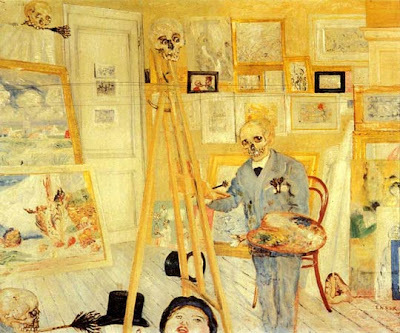 I became intrigued with James Ensor after reading a blurb about him in New York magazine. 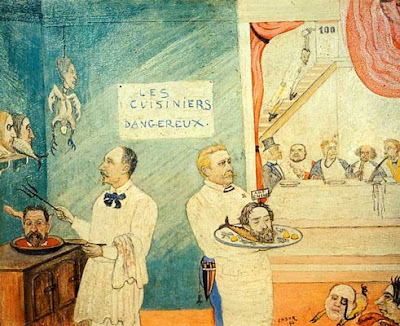 The MOMA is now showing a retrospective of Ensor--an avant-garde Belgian painter from the late 1800's. 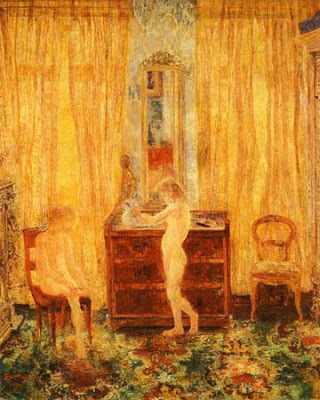 His paintings are amazing! Such vivid colors and wild subject matter. 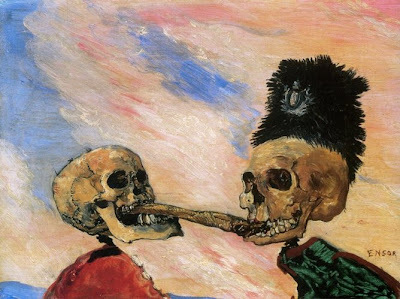 The above painting is titled Skeletons Fighting Over a Pickled Herring (1891).